Sue Campbell, Project Leader for the Duke of Edinburgh's Award, chats to Tollbar Academy Year 9 students (l-r) Zac Mazel, Emily Ennis, Christina Leung, Edith Sandiford and Ellis Bailey about the Bronze Award. Tollbar Academy student Edith Sandiford hopes to follow in her mum's footsteps when she takes part in the Duke of Edinburgh's Award. Edith was one of many students interested in taking part in the popular youth enrichment scheme during a promotional visit to the Academy. Sue Campbell, Project Leader for the Duke of Edinburgh's Award, talked to Year 9 students about the Bronze Award. She said: "There is always a good uptake from Tollbar Academy and very good parental support. "The Duke of Edinburgh's Award, is a youth awards programme founded in the United Kingdom in 1956 by Prince Philip, Duke of Edinburgh. It now runs in 144 countries. "We aim to inspire and transform the lives of millions of young people from all walks of life. 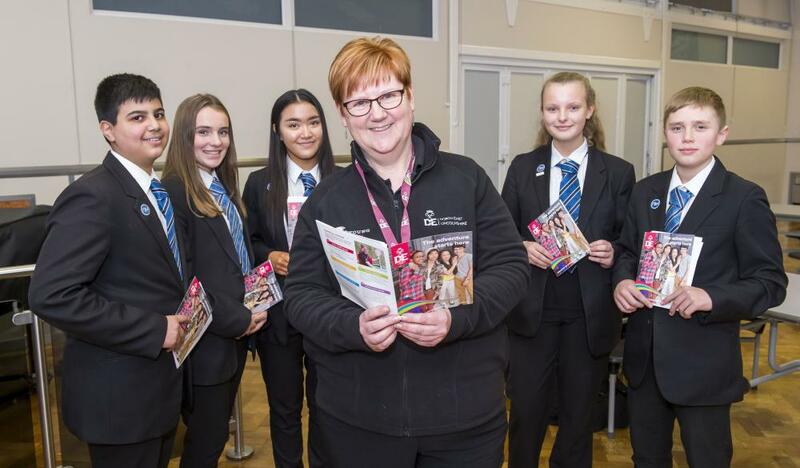 From volunteering to physical activities, life skills and taking part in expeditions, achieving a DofE Award is valued by employers and universities," she said. Edith said: "My mum Claire did it while she was at Tollbar. It looks good on a CV. It is also a good way of meeting new friends and trying new experiences like archery and camping."